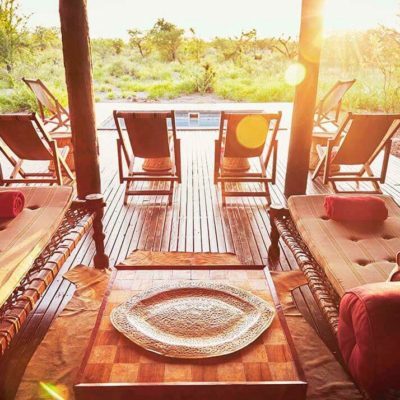 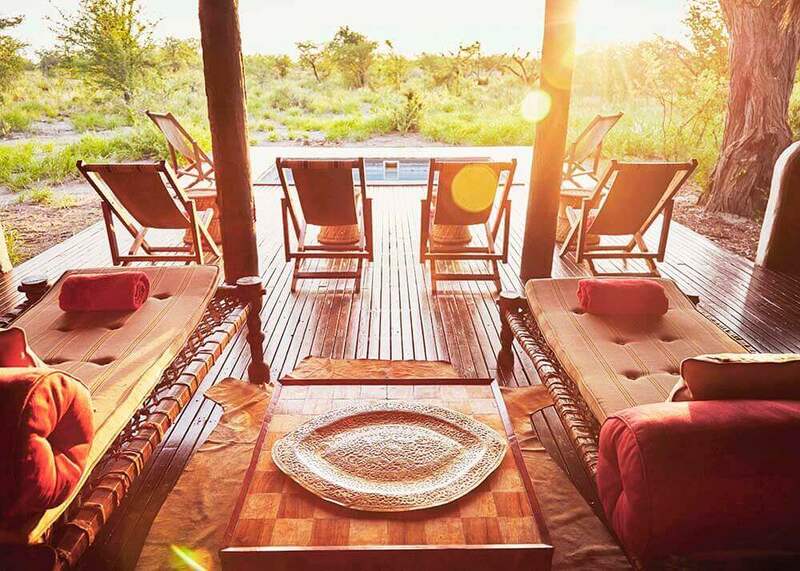 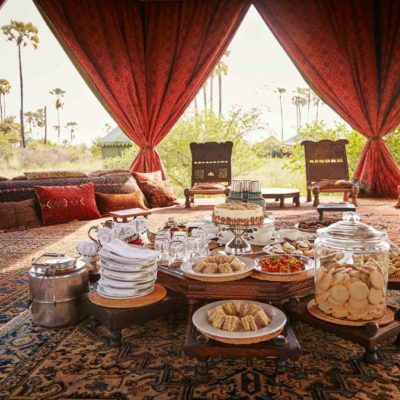 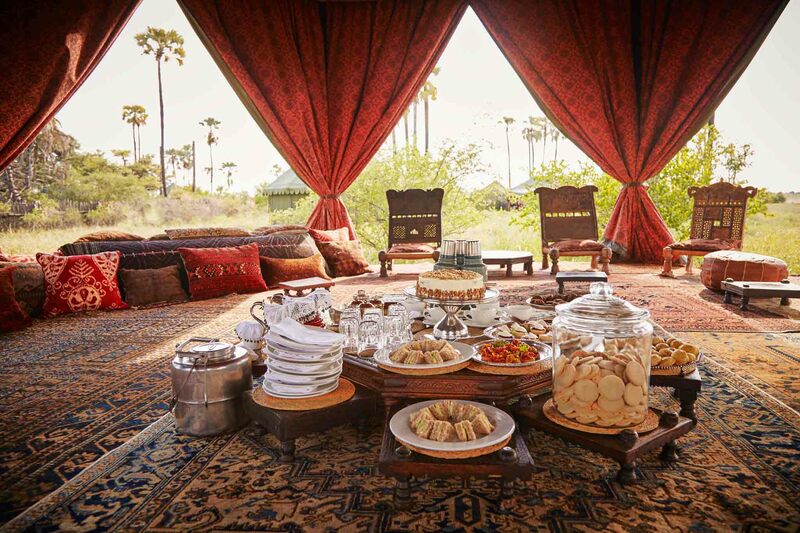 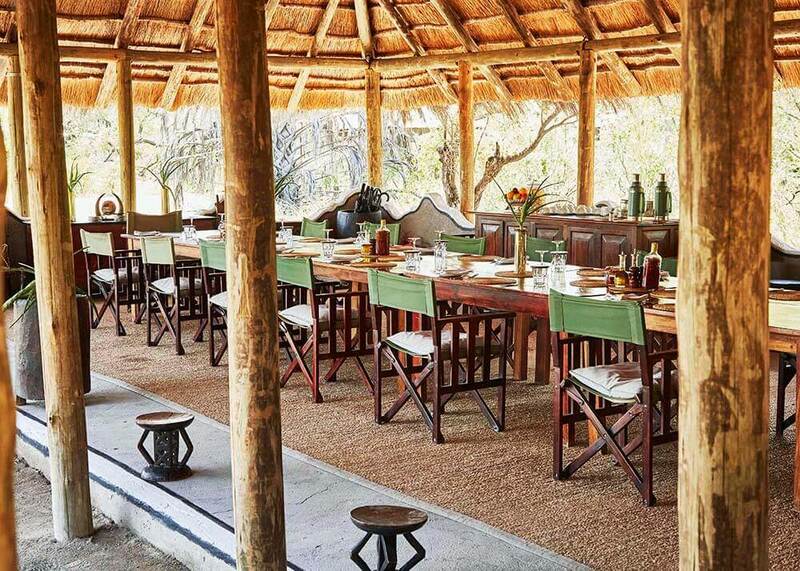 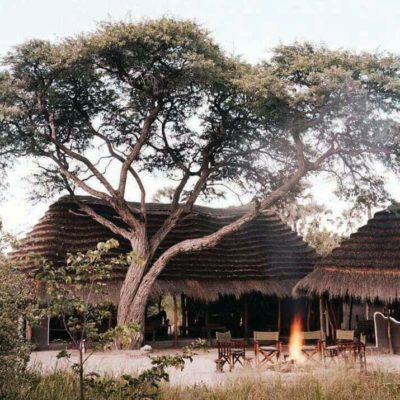 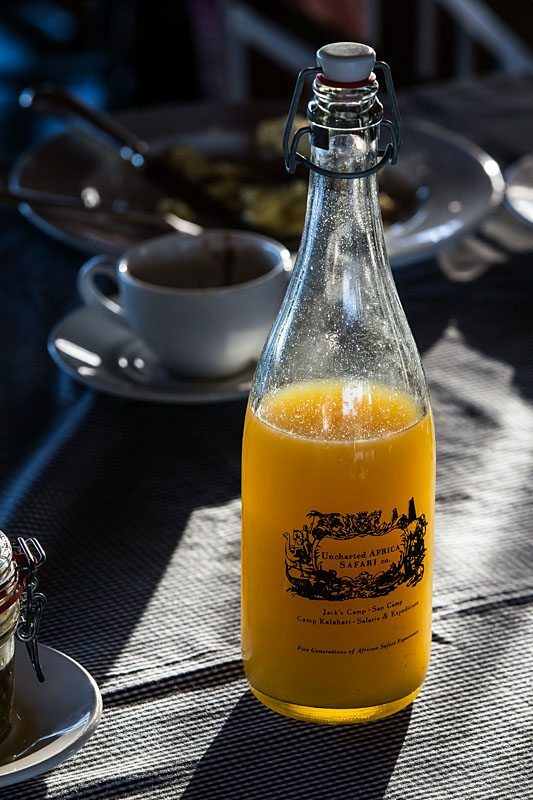 This is a much-famed and iconic safari camp started by a safari pioneer named Jack Bousfield. 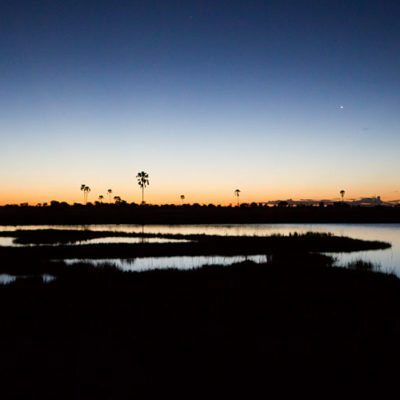 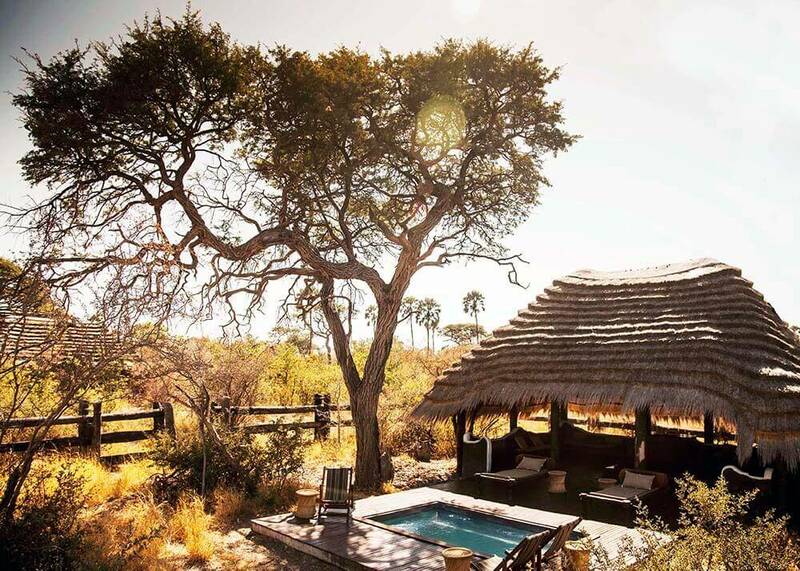 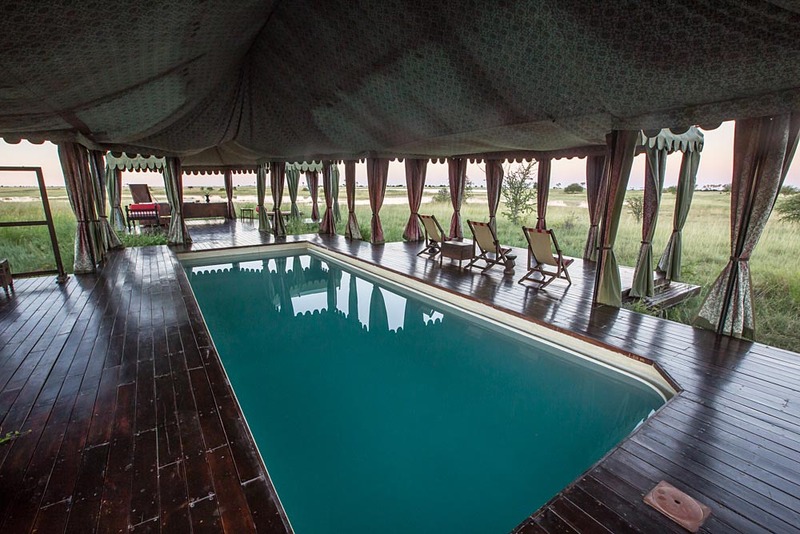 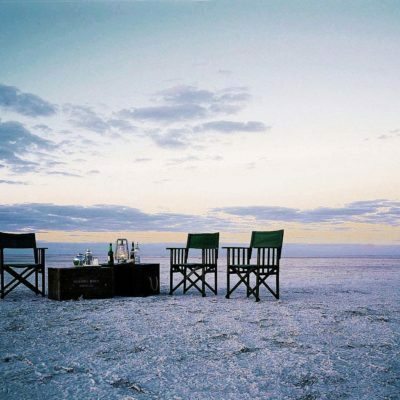 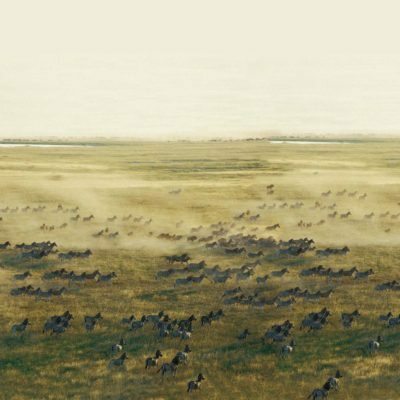 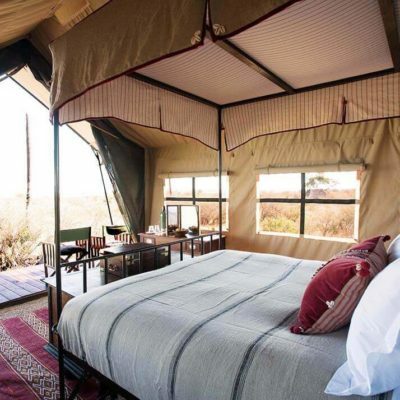 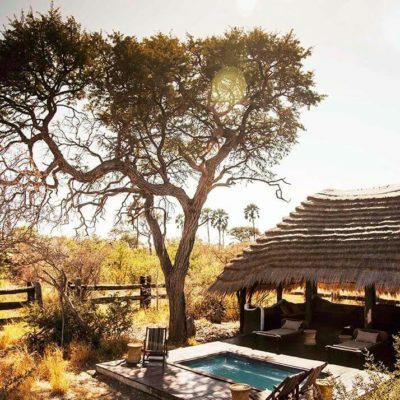 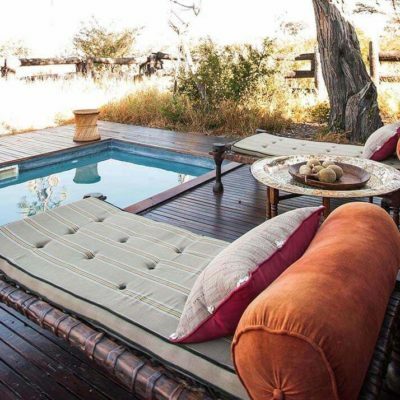 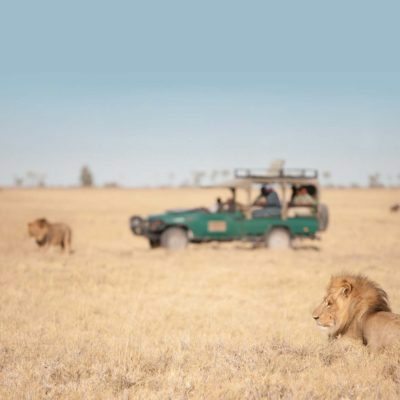 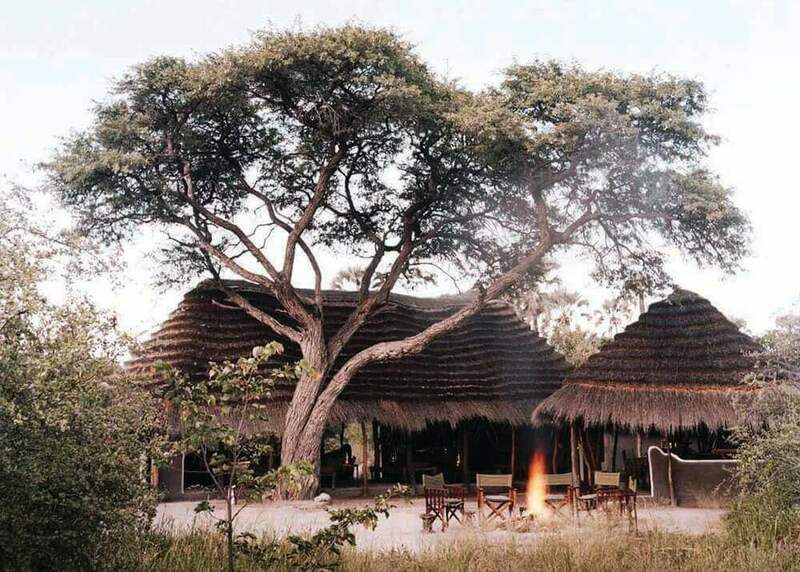 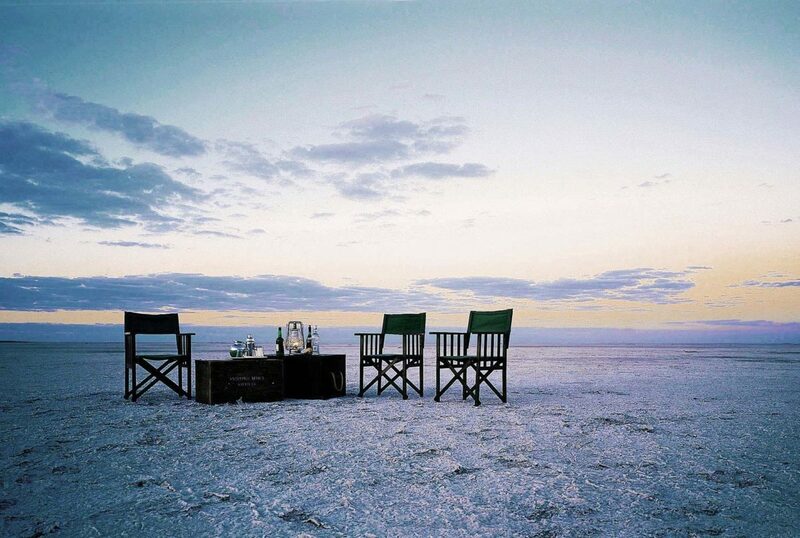 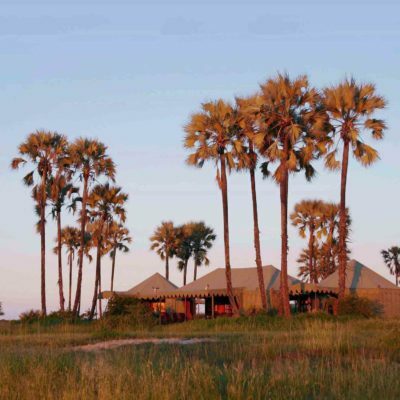 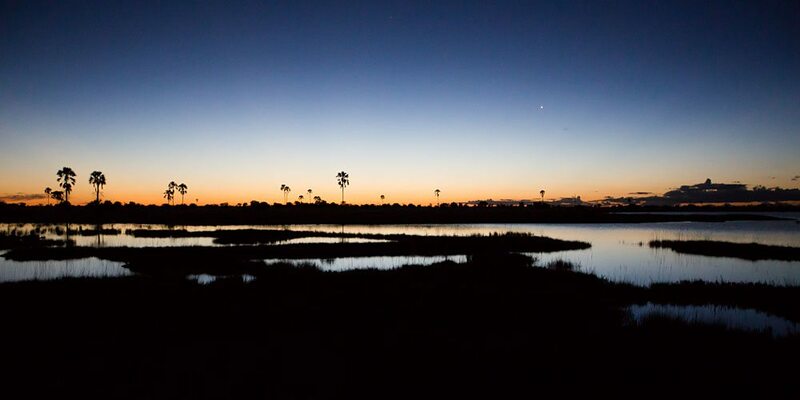 The camp sits on a striking location right on the edge of the Makgadikgadi salt pans, close to the boundary of the Makgadikgadi Pans National Park. 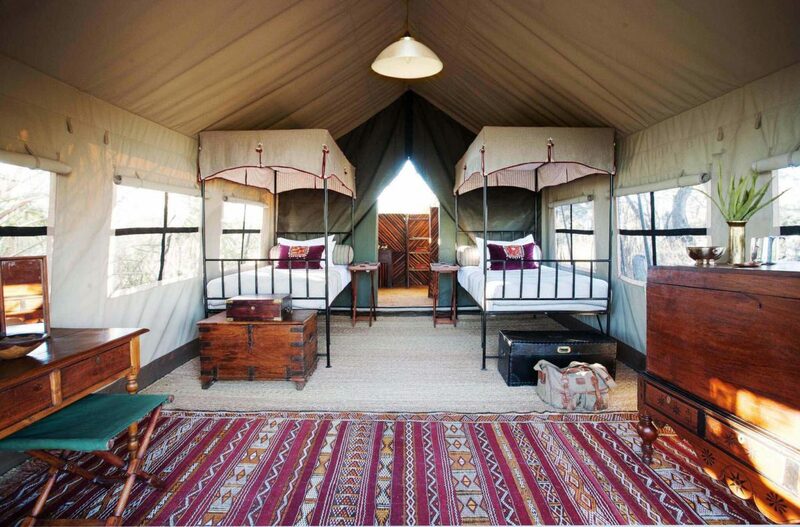 It is ideal for those that seek stylish adventure, fun and comfort and children of all ages are accepted. 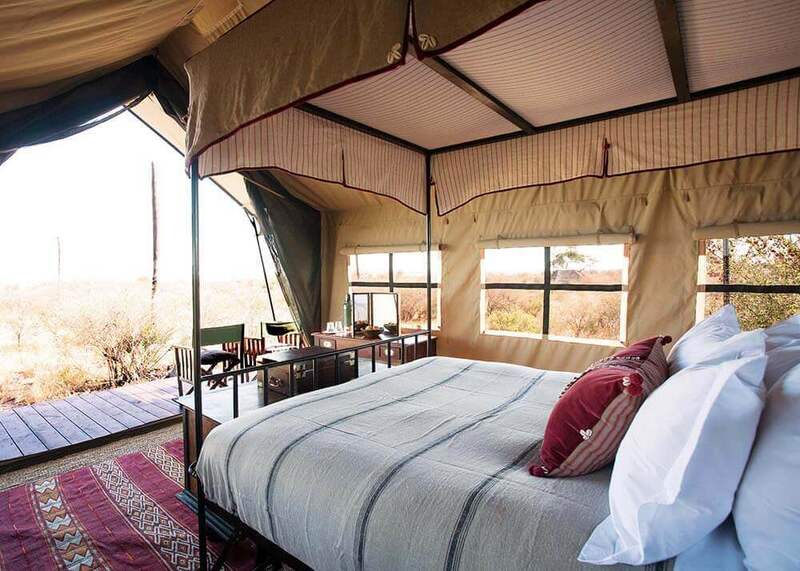 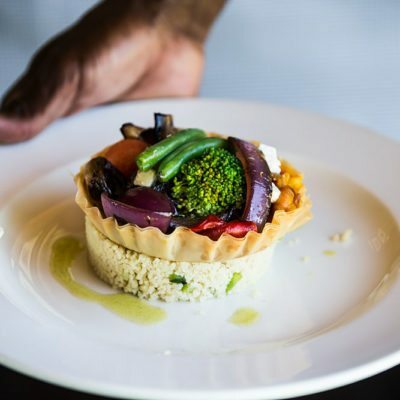 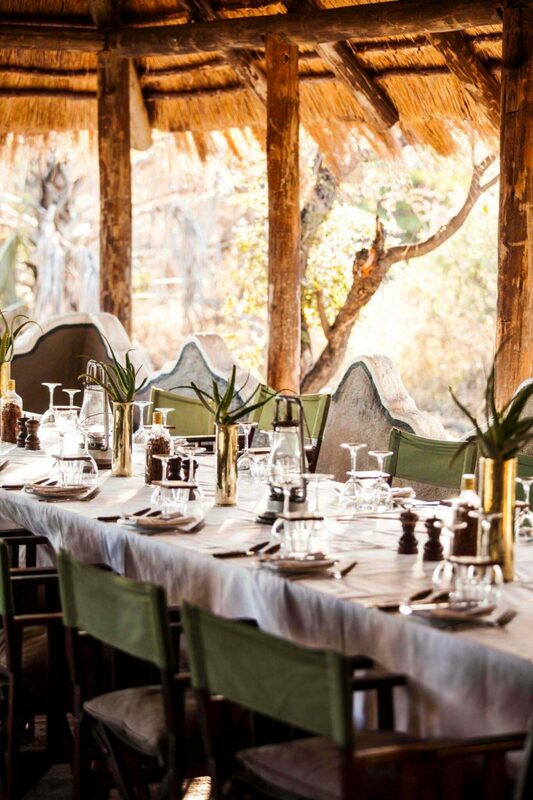 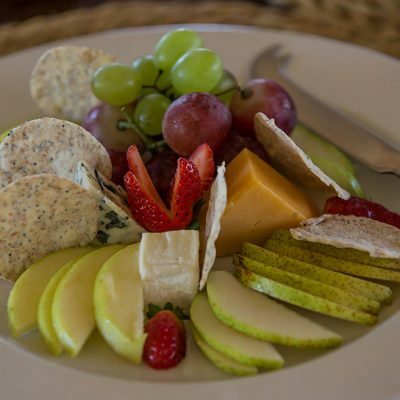 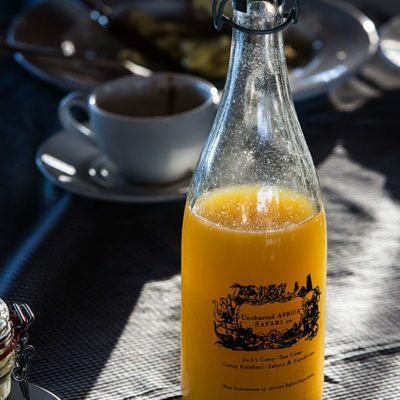 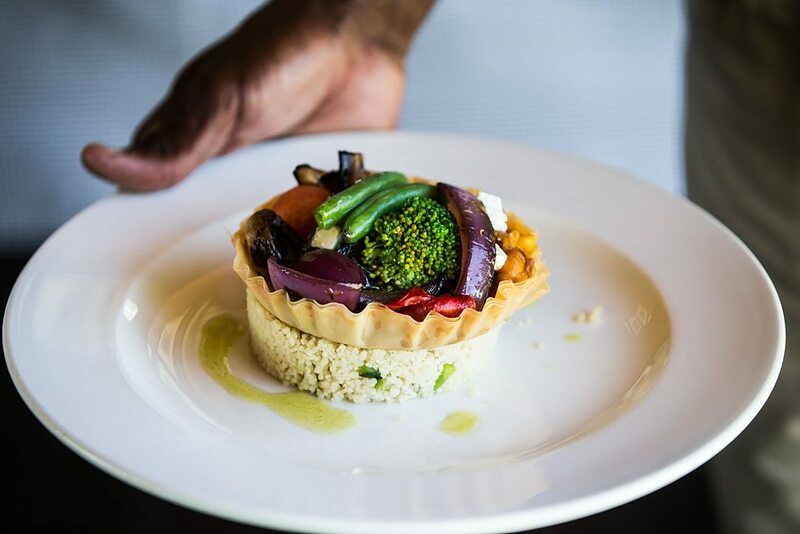 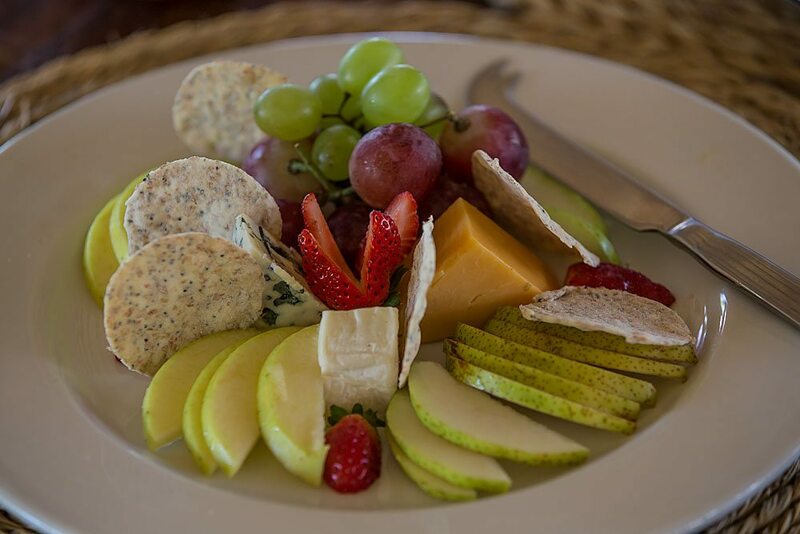 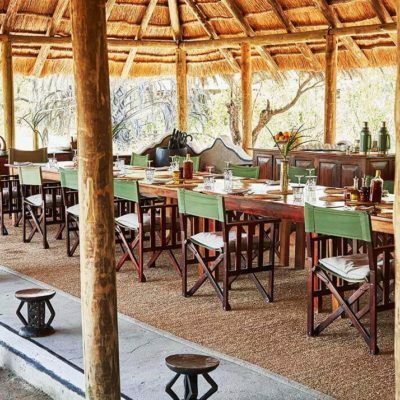 It is the perfect base to explore the salt pans on foot or horseback, camp out on quad bikes under the stars or go for game drives in the park to track down the zebra migration. 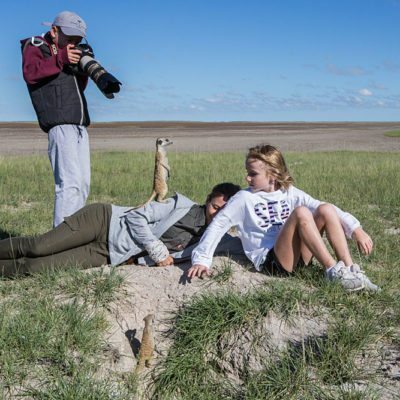 Jack’s is also famed for its habituated meerkat clans that you can follow on foot – this is a remarkable and unique activity which might be the areas biggest draw card! 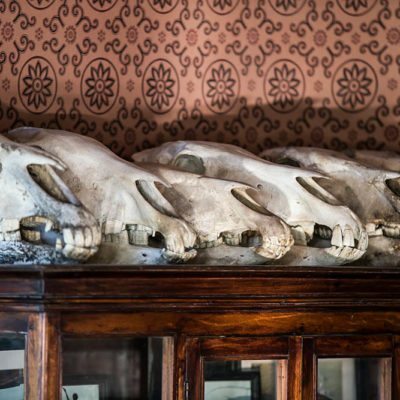 The lodge has its own registered museum! 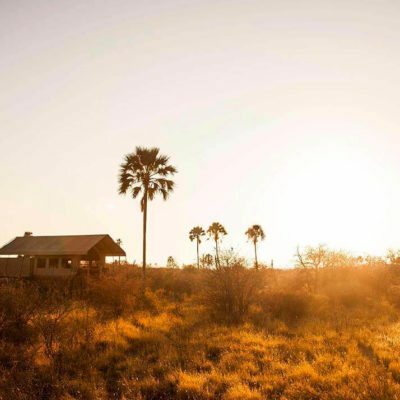 You can fly into Jack’s Camp from any bush airstrip, or direct from Maun or Kasane (flying costs here are usually relatively high). 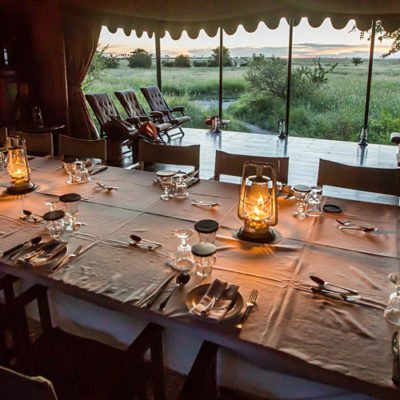 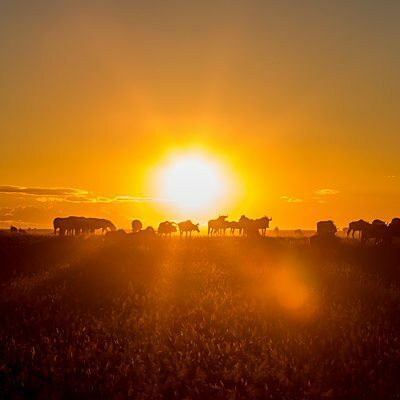 Standard day and night game drives are of course, on offer……….there are two distinct seasons that provide contrasting experiences at Jack’s Camp: A safari in the wet season (November to April) will reward visitors with an experience of the zebra migration. 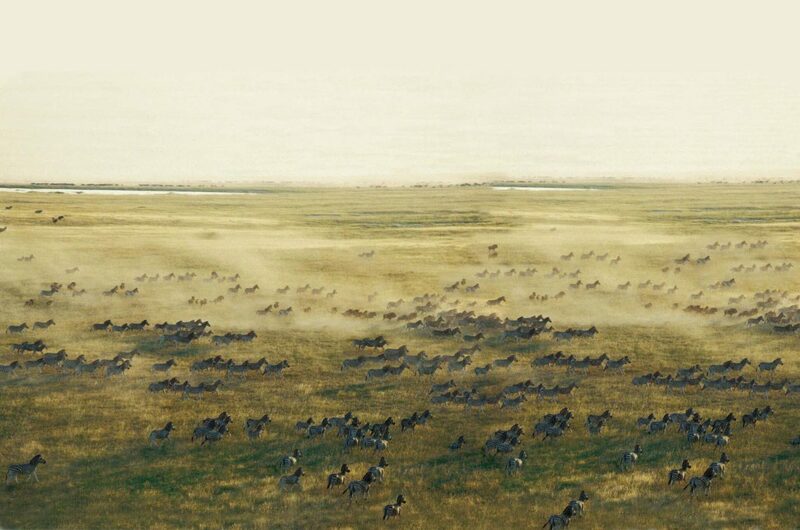 These animals materialise with the bloom of fresh new grass and the presence of water to drink in the pans. 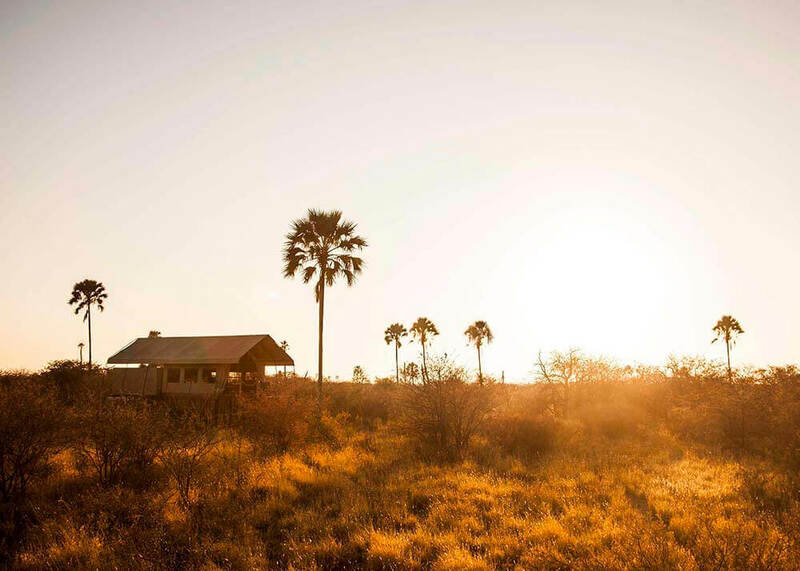 For these months, the desert is alive with grazers and predators. 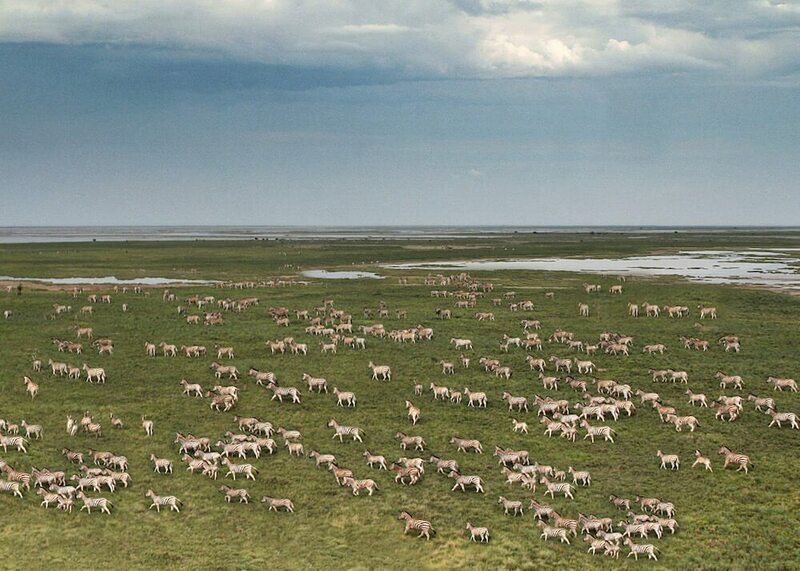 Recent estimates put the zebra population at 30, 000+ – certainly the most substantial migration in Southern Africa. 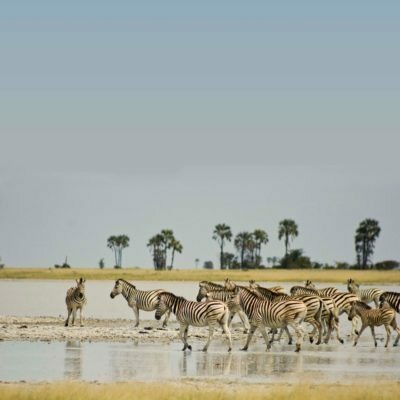 Recently though, a series of artificial waterholes are now pumped in the area, meaning that at least some zebra stay year round. 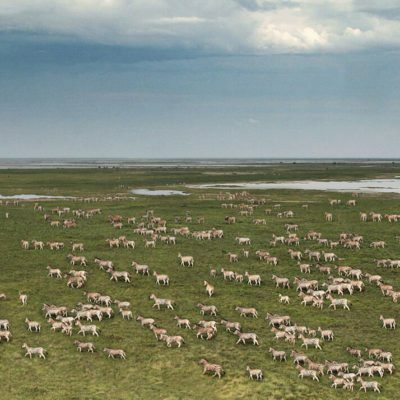 The bulk of the zebra still disperse in the dry season. 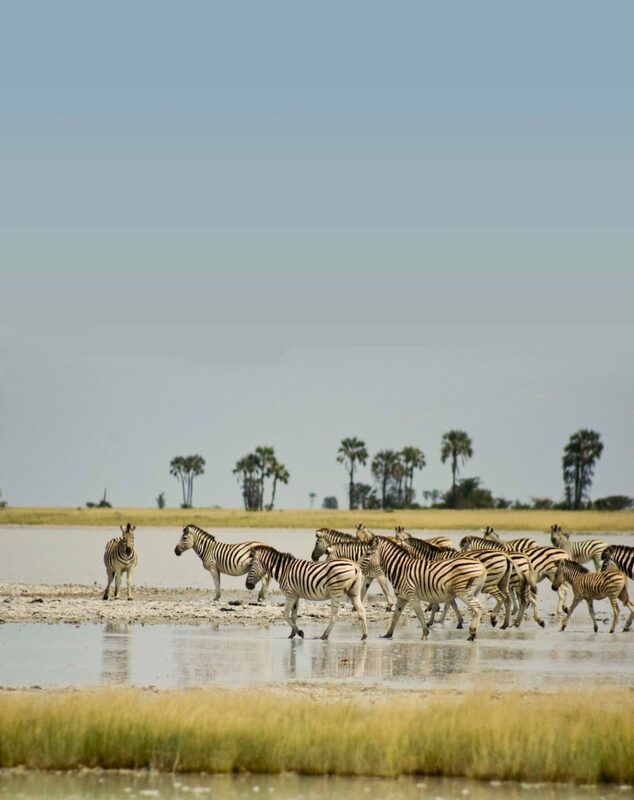 In the dry season (May to November), the zebra head to the permanent rivers on the other extremity of the park – the extraordinary ecosystem of the salt pans now becomes the main attraction while you are at Jack’s Camp. 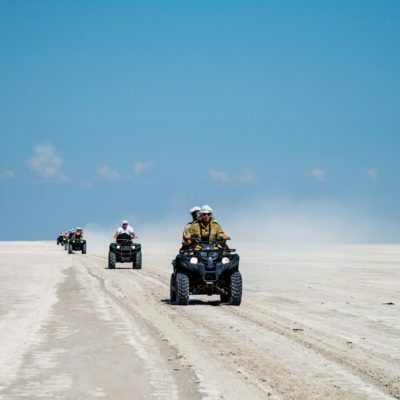 Guests can experience this vast landscape on quad bikes – this is the only way to get out to “the middle of nowhere” and experience a feeling of solitude and emptiness – guests can sleep out on the pans under the stars, no tent. 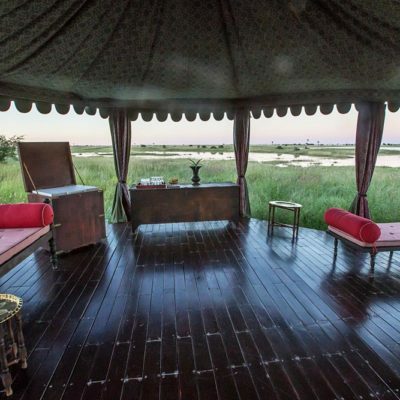 The star gazing is pretty impressive too! 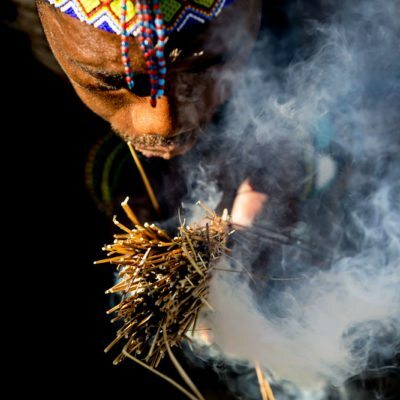 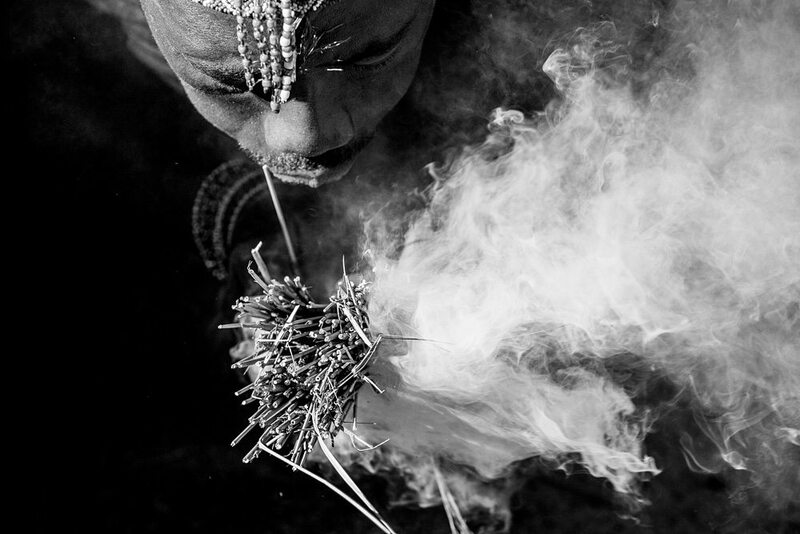 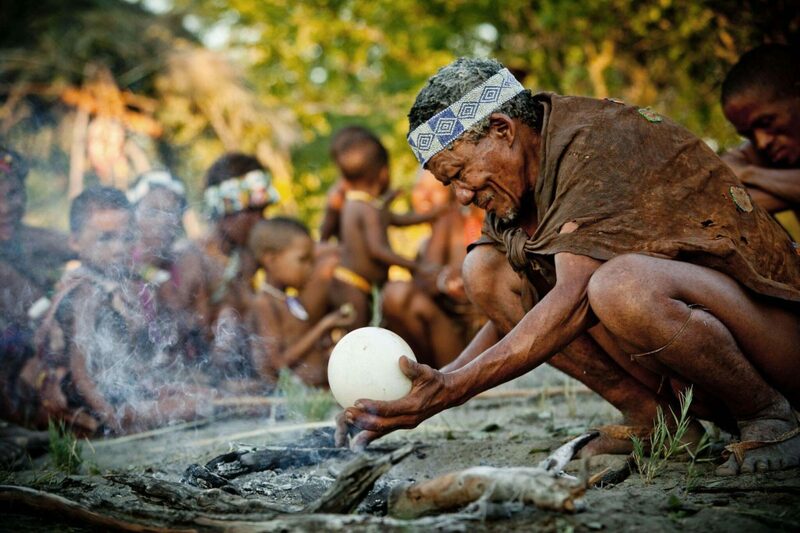 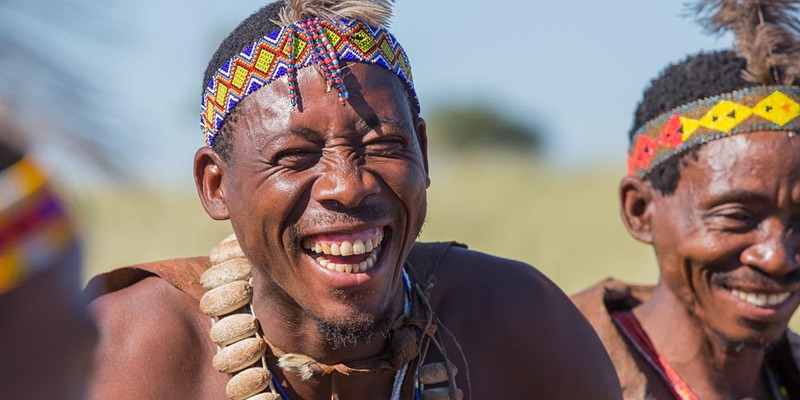 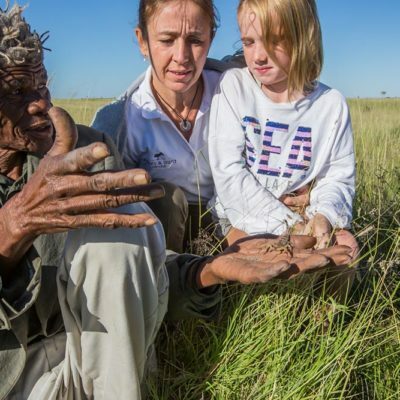 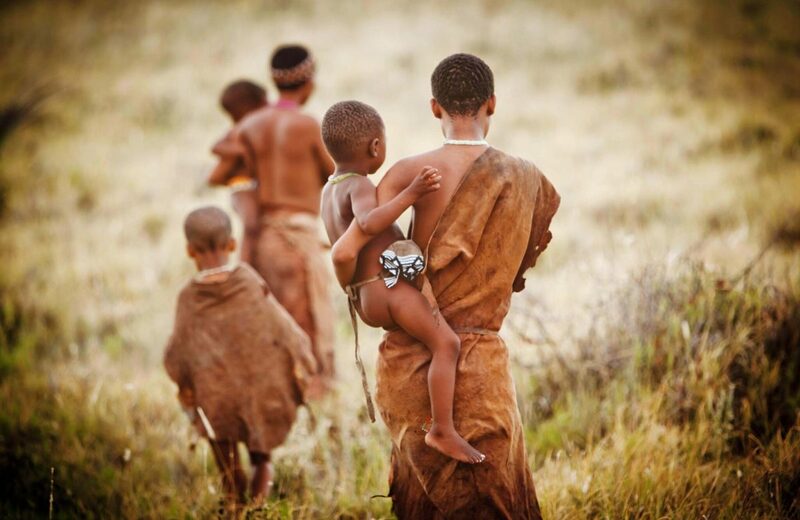 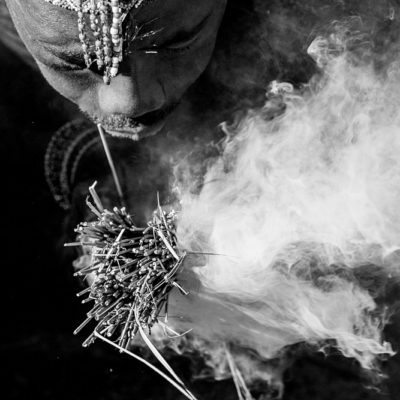 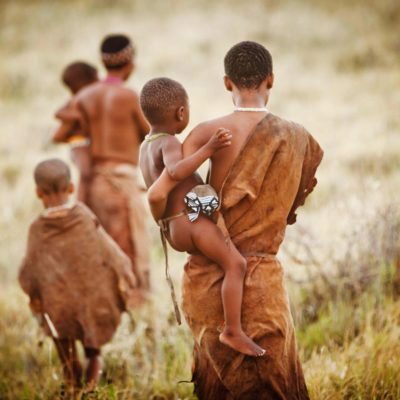 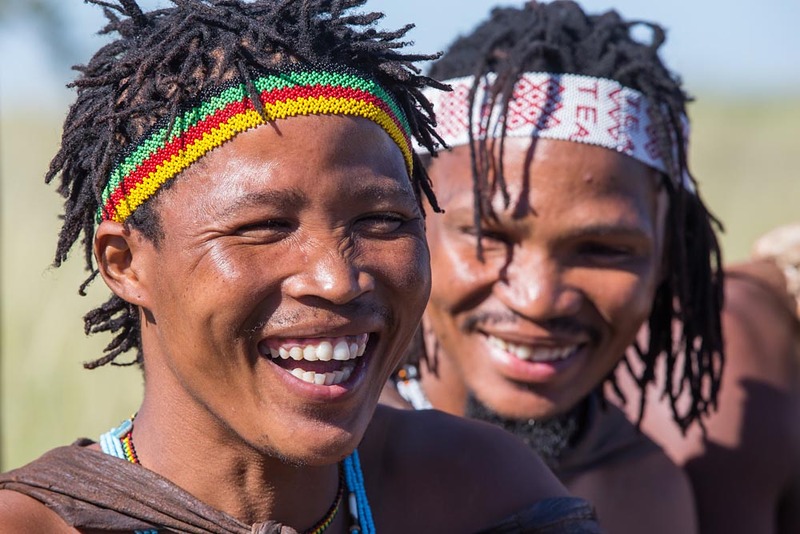 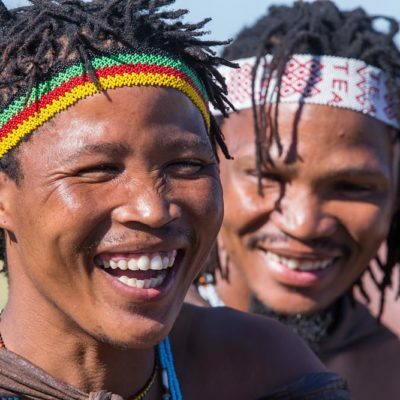 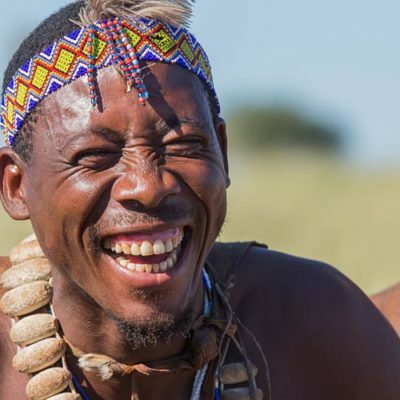 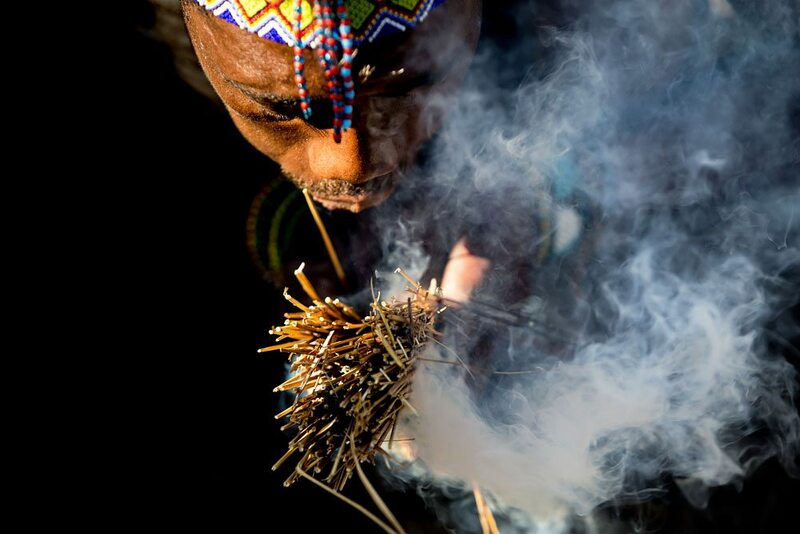 Guests can also accompany local San Bushmen on guided walks to gain insight into their former way of life. 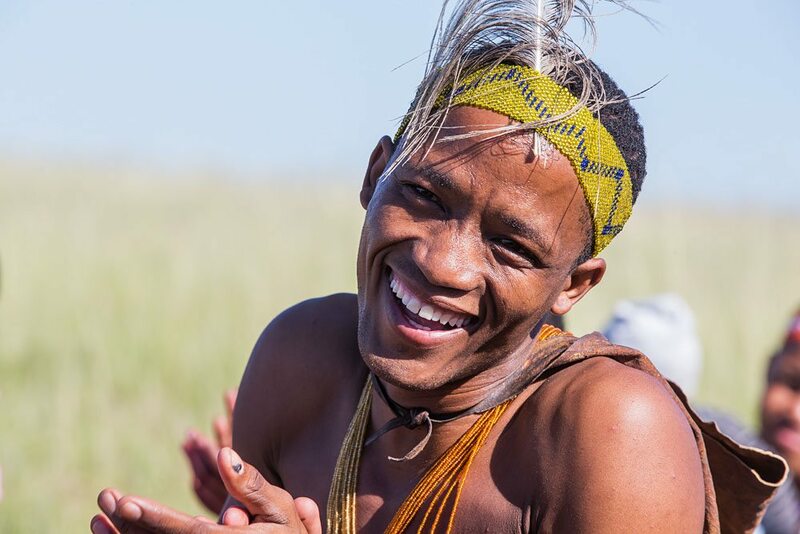 While this activity is of course a “staged” performance, we find that all participants vastly enjoy it and you will walk away appreciating how intimately the Bushmen understand the ecology of the desert! 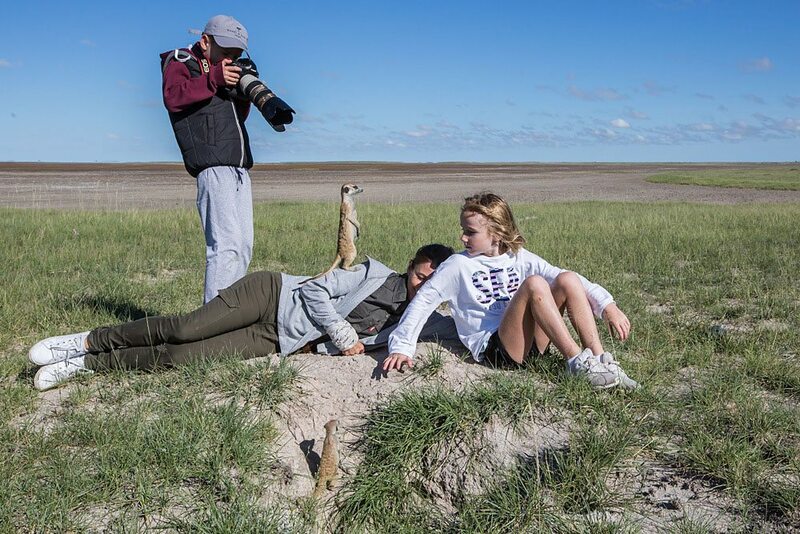 Perhaps the most unique experience at Jack’s is an interaction with a clan of habituated meerkats. 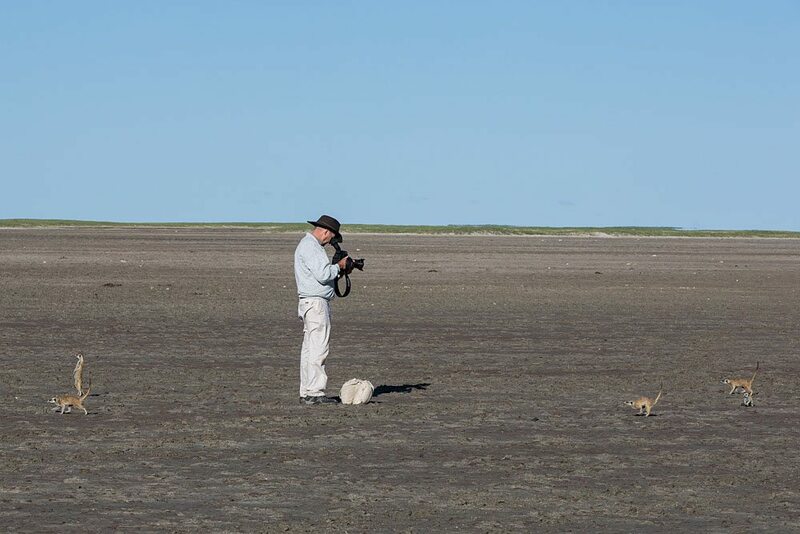 These animals still remain wild but allow humans to observe them from (very!) 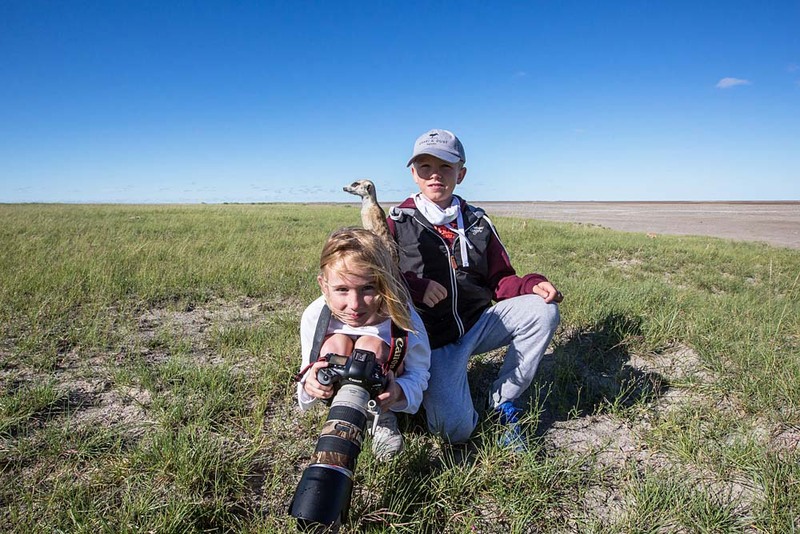 close proximity. 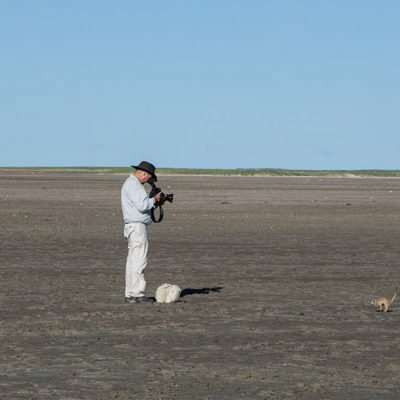 You can spend a morning with them, following as they dig for scorpions while sentinels scan the sky for avian predators. 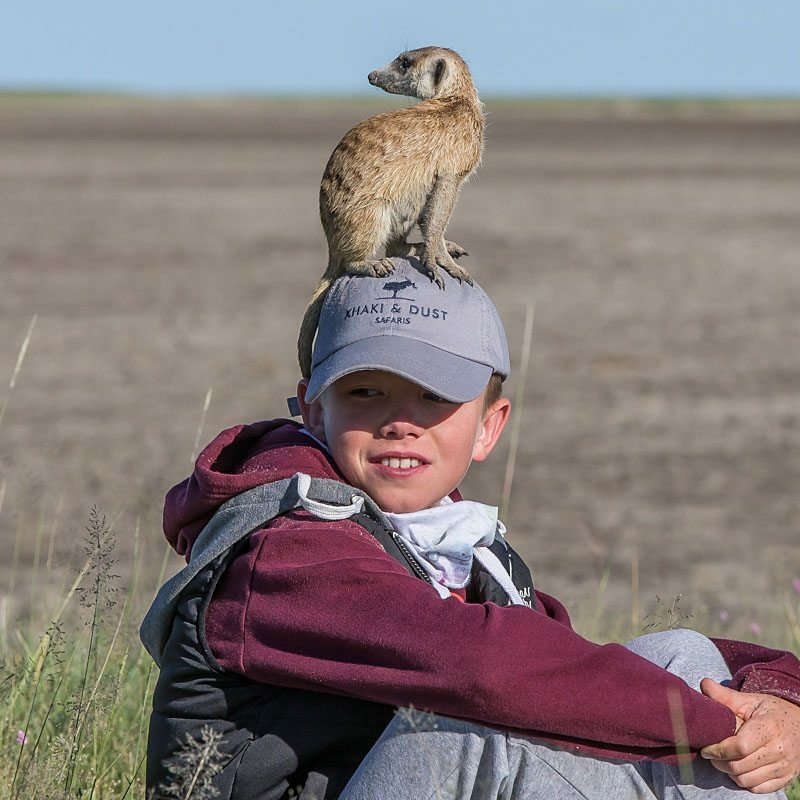 They even sit on humans to get a better view! 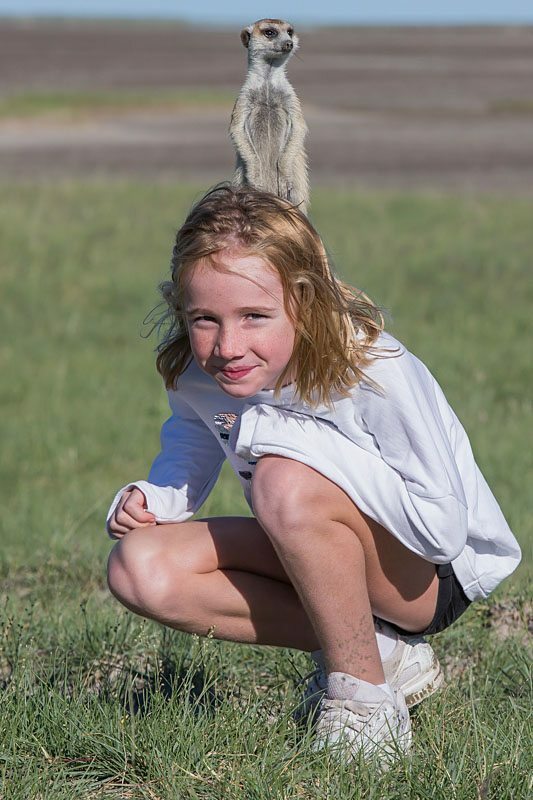 Kids of course, really love this activity and it is important to point out that these animals are still wild and are not petted or fed. 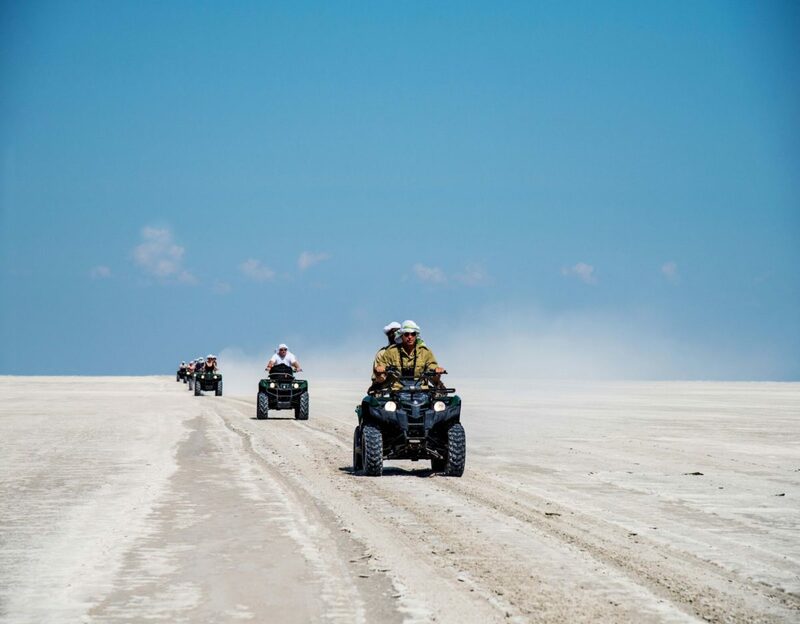 You can also explore on horses or “fat” bikes – ask us for more information. 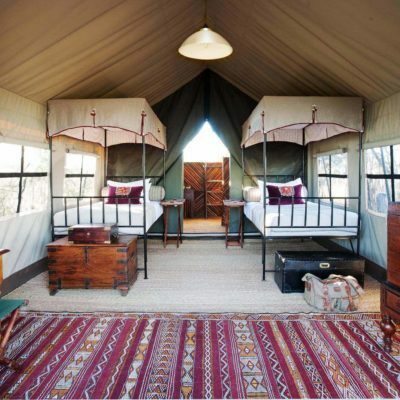 In this regard, Jack’s Camp really comes into its own. 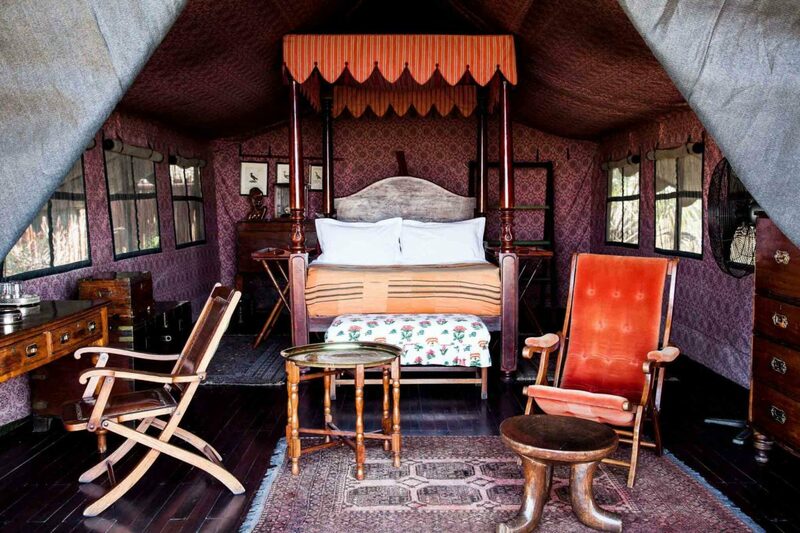 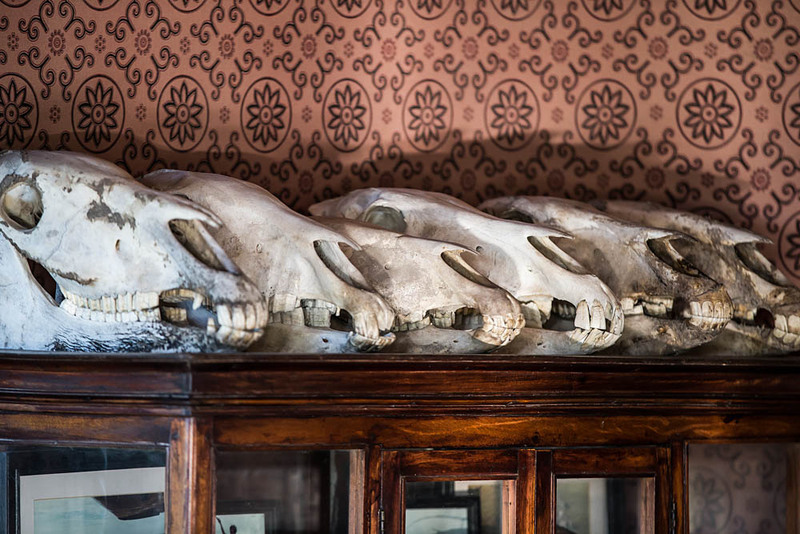 Not only is the decor a throw-back from explorers’ times, but the camp even houses a private collection of artifacts collected by the Bousfield family over decades of exploring Africa. 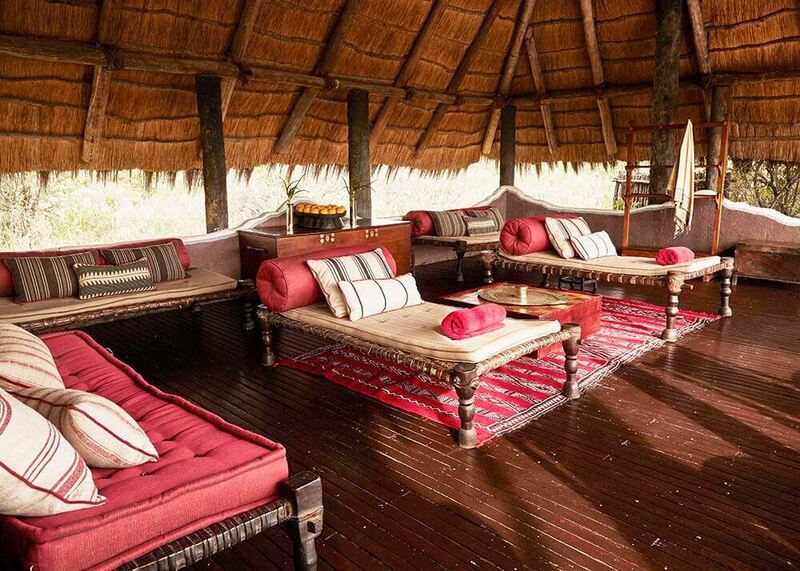 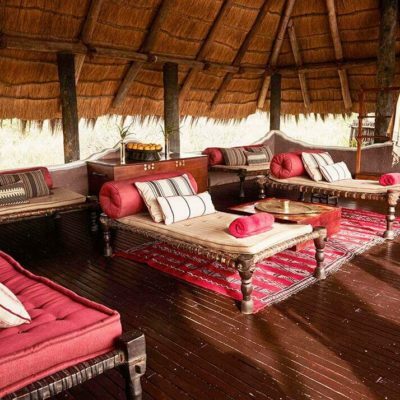 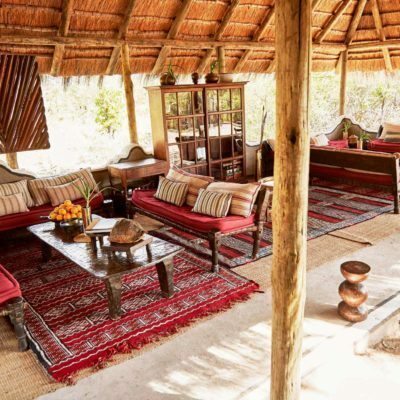 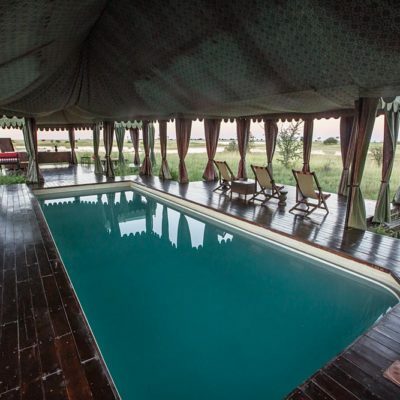 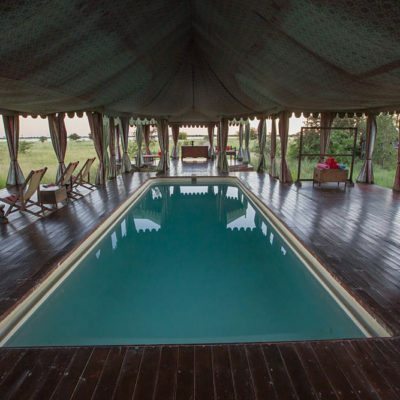 This is a tented camp with no permanent structures. 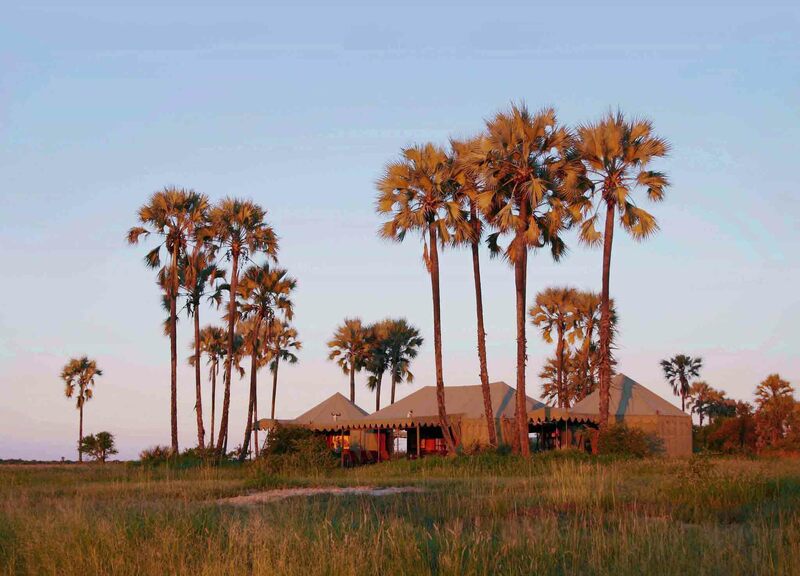 The green canvas tents are set on raised teak decks on an isolated palm island immediately surrounded by salt pans and grassland – this is the intermediate ecotone between the woodlands and the complete vastness of the massive salt pans that open up a just a short drive from the camp. 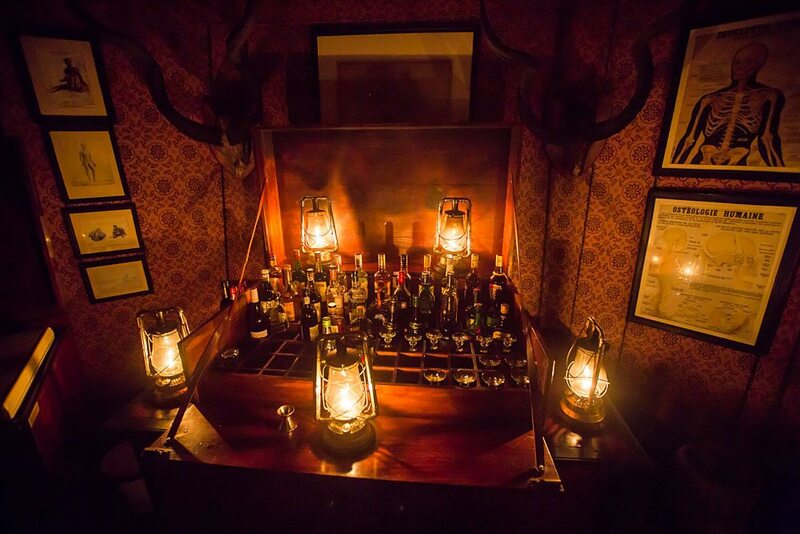 At first sight you might find the decor old-fashioned. 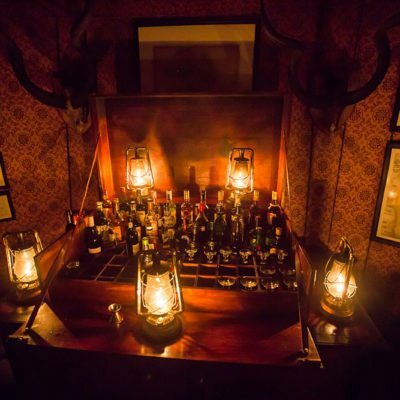 However we feel that it greatly represents the history of the camp’s pioneering founders. 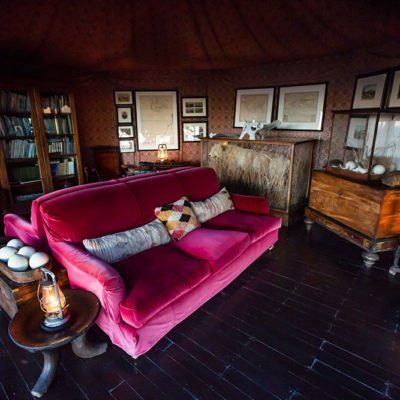 The main “mess” area is a large tent with 3 separate alcoves – one for dining, another with a bar and pool table and an extra zone for relaxing or reading. 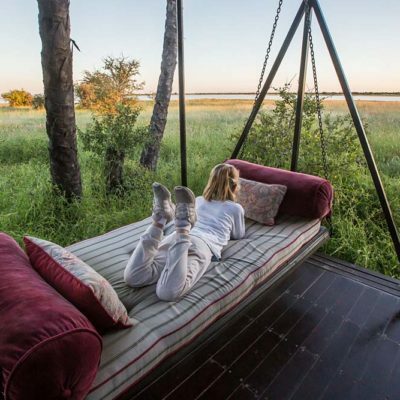 There are also 2 “swing-beds” which are great for relaxing during the day. 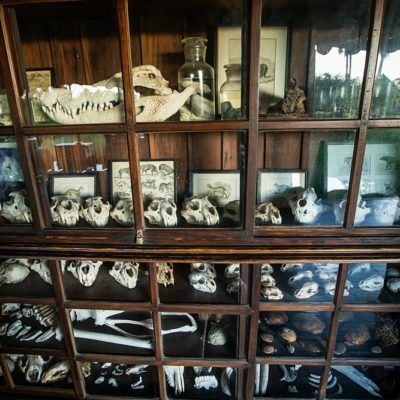 Everywhere you look within the interior, there are displays of interesting artifacts and books. 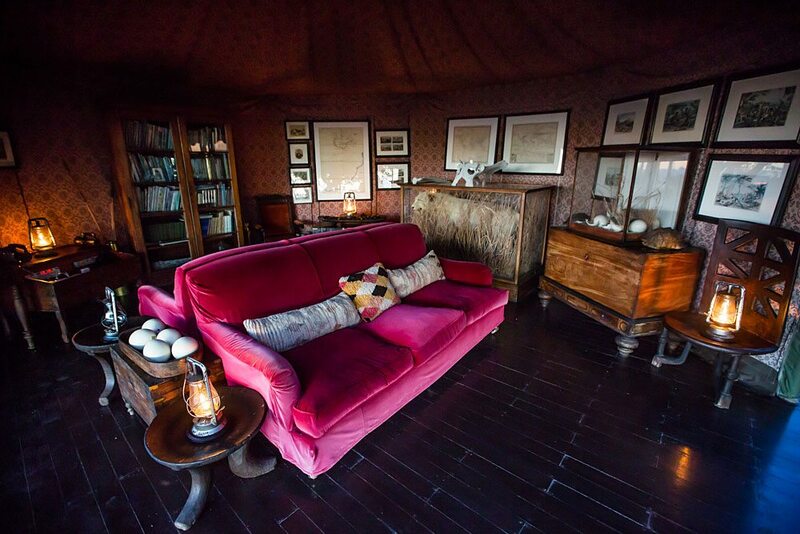 The library might just be the best stocked of all the camps we have visited! 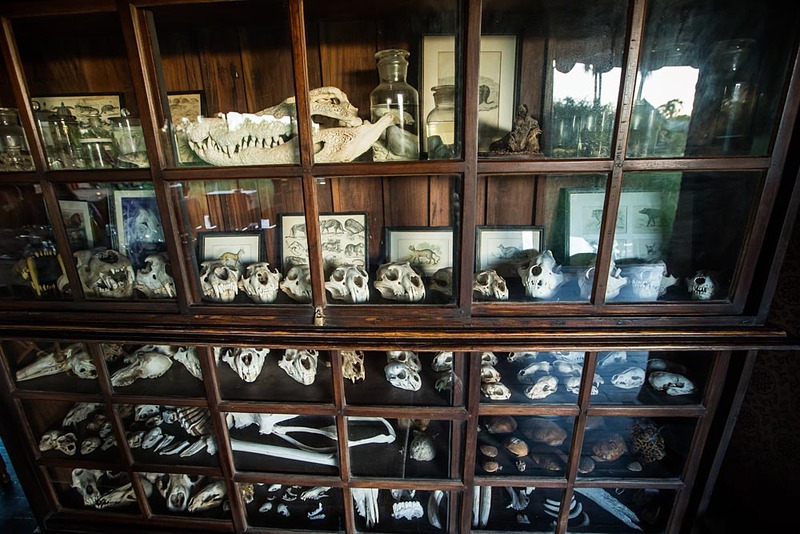 Glass cabinets display a range of old fossils, stone tools, artifacts and the odd stuffed animal. 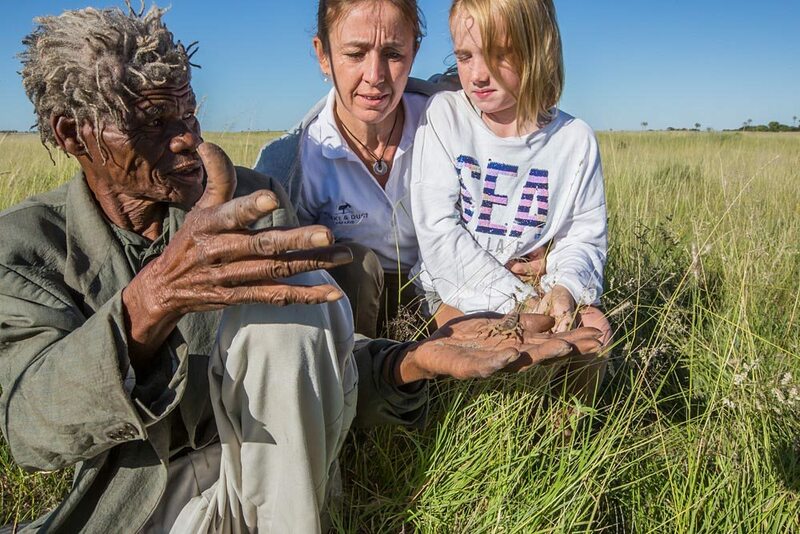 Make sure to befriend one of the guides or ecologists in camp to explain the story behind each piece! 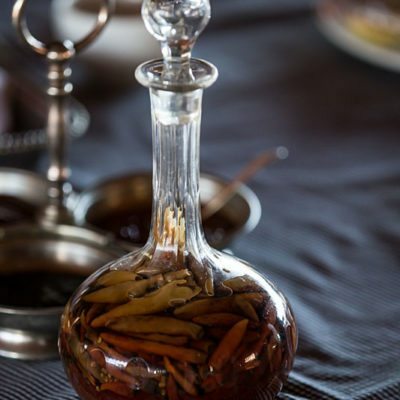 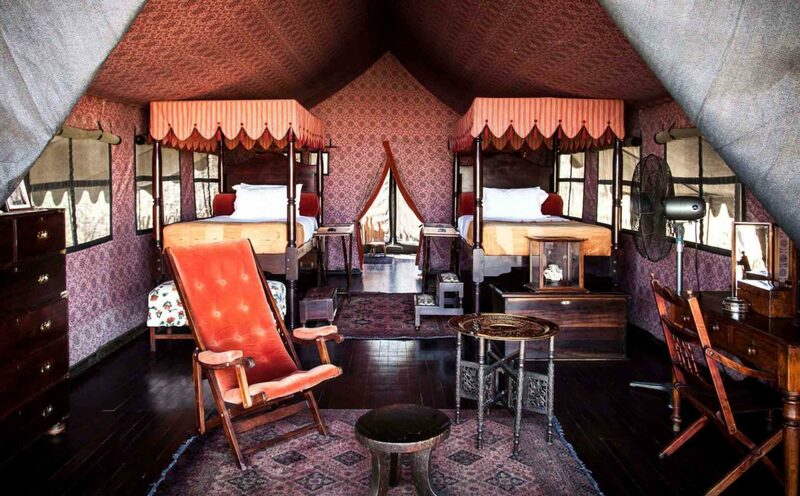 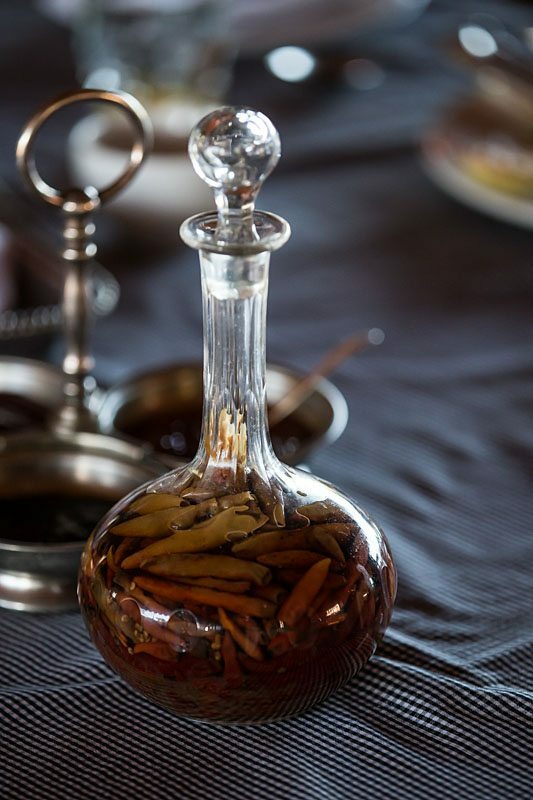 The accommodations reflect the same “bedouin” style theme, with large “meru” tents decorated in the same colours, reflecting the ode of classic, decades ago safaris. 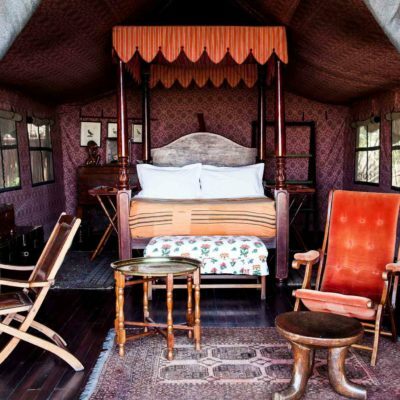 The large four poster beds are quite comfortable but you will need the provided step to scale them! 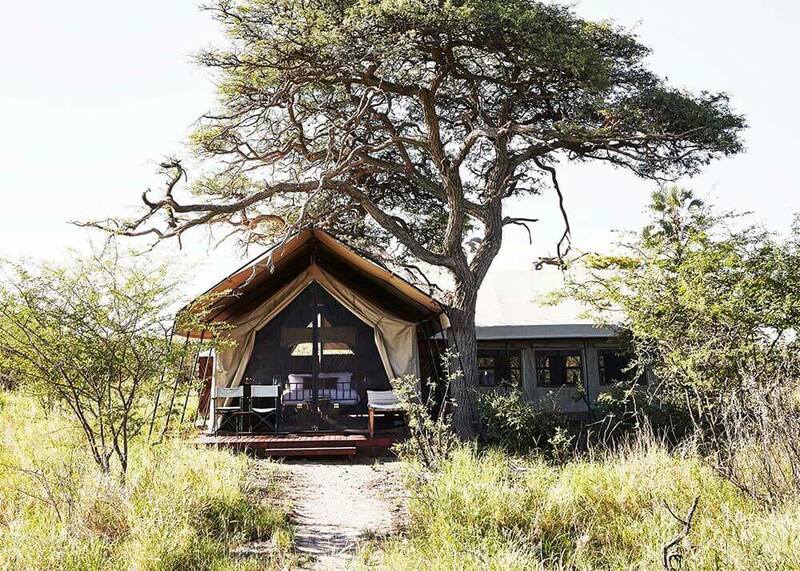 We did note that the tents are well spaced and the surrounding vegetation provides very good privacy. 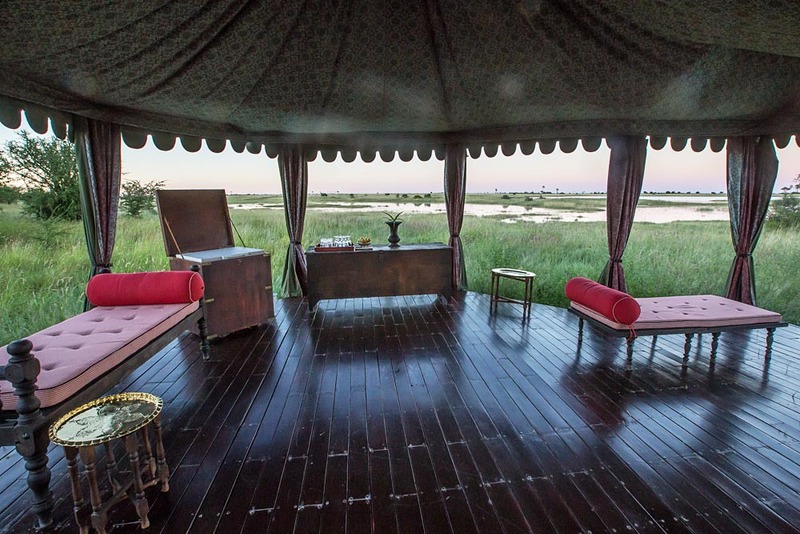 Effort is also made to give each private front deck a view of the nearby pans. 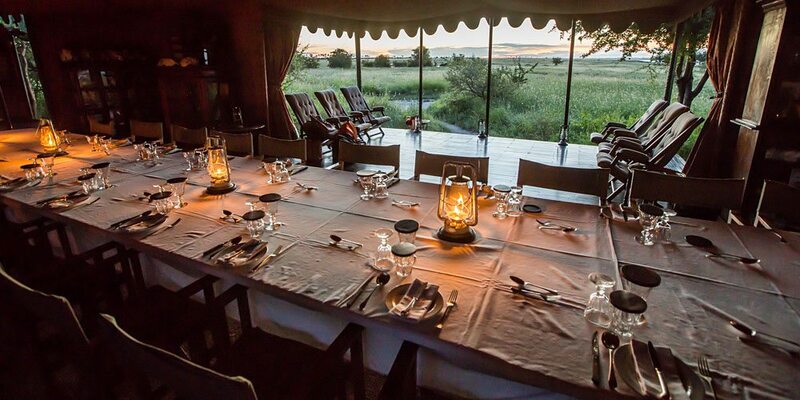 Note that there is NO electric lighting in the tents – all light is provided by paraffin lanterns – it is certainly quite charming. 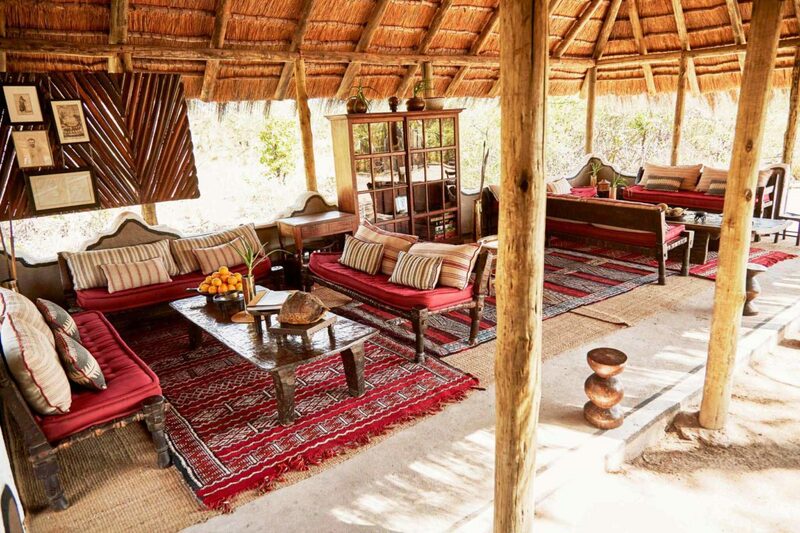 There is an electric fan but this will only work during the day when the generator is on. 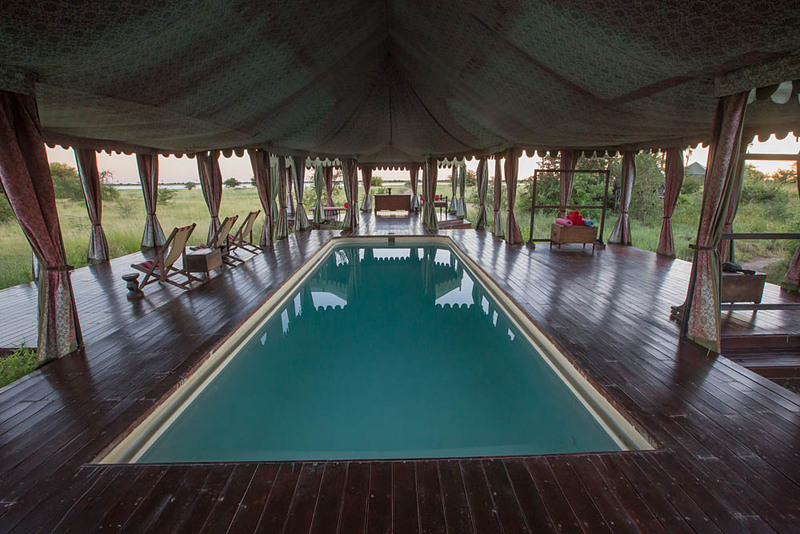 You might want to use or hang out at the large swimming pool that has a splendid view on the surrounding area. 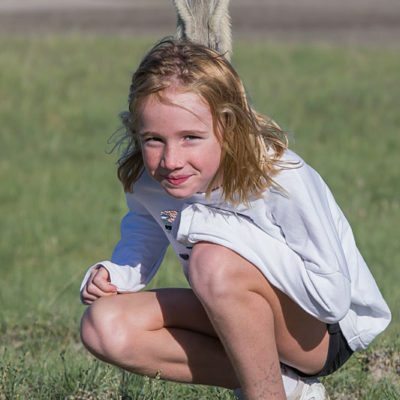 There is no wifi available at this camp. 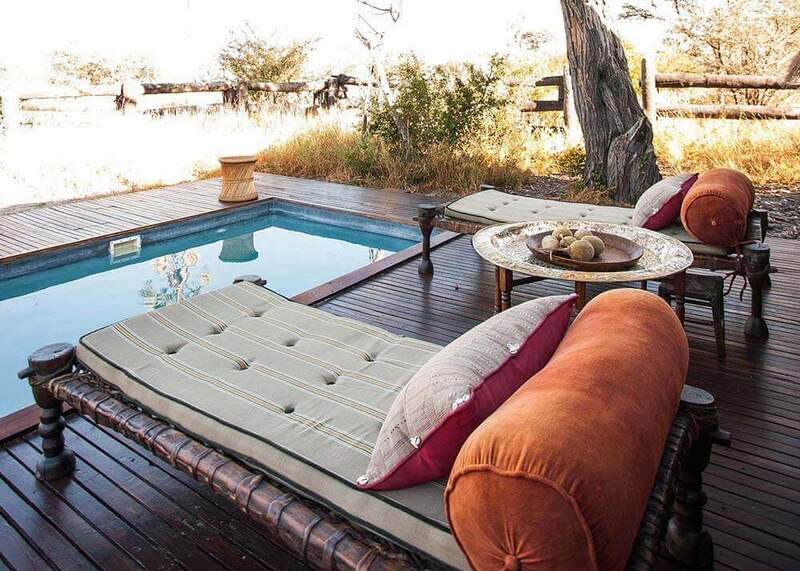 You can also pamper yourself with a treatment or massage (extra cost). 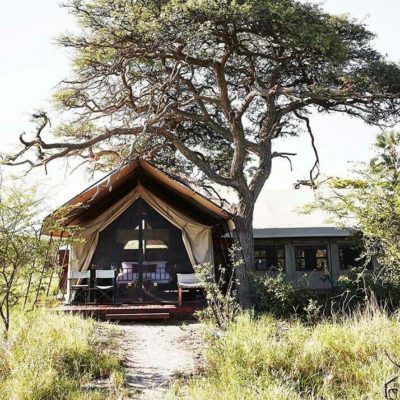 Jack’s is one of 3 camps in this area, and this is the most expensive option available. 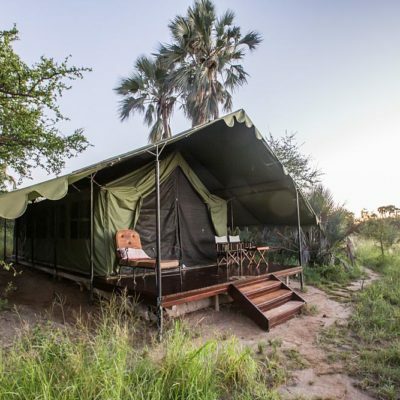 We like the fact that the owner of the camp is still actively involved in the day to day running of the camp and the activities. 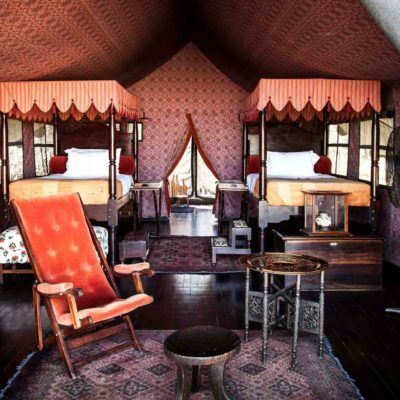 This is reflected in the fact that the camp still has a feel of an independent owner run establishment! 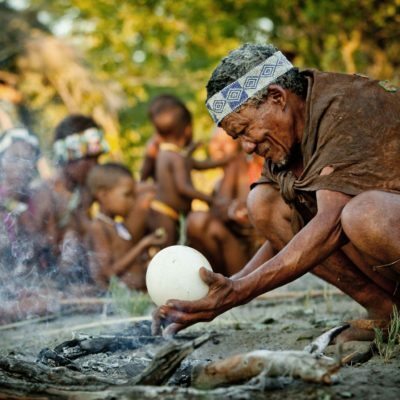 The lack of power in the tents might be a concern for some so do be aware of this fact. 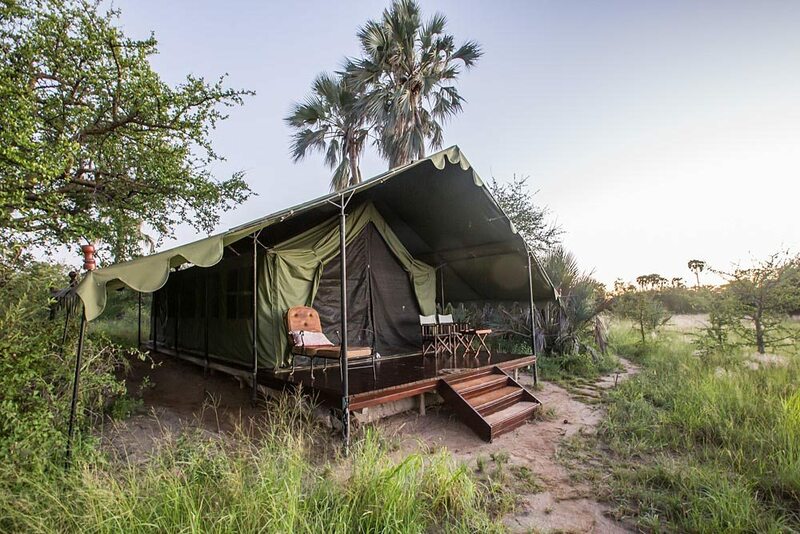 They are still using a generator for power in the day time but plans are imminent to change to mostly solar, which will provide 24 hour power in the tents! 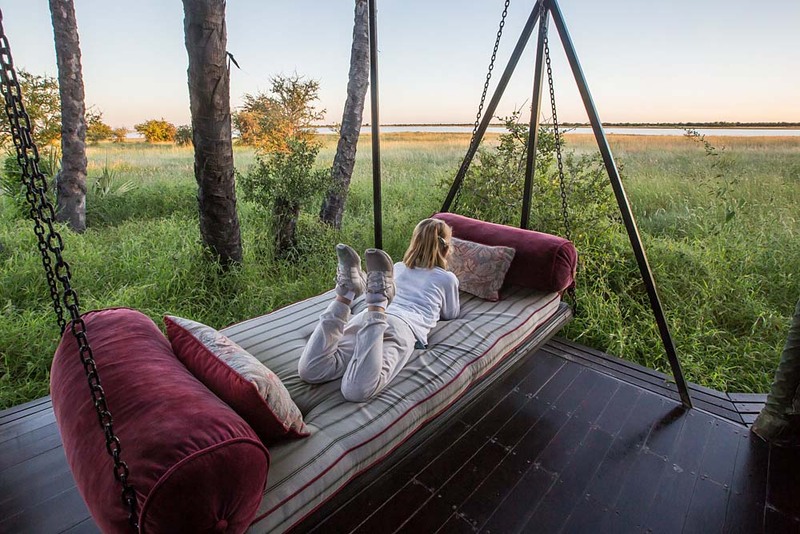 The activities are a refreshing change from the norm and you will not find this variety of adventurous and interesting options in any other area. 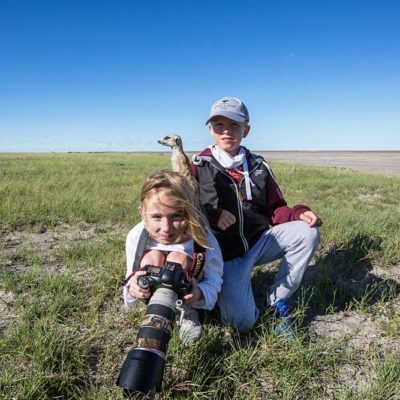 We highly recommend the sleep outs on the pans and the meerkat interactions. 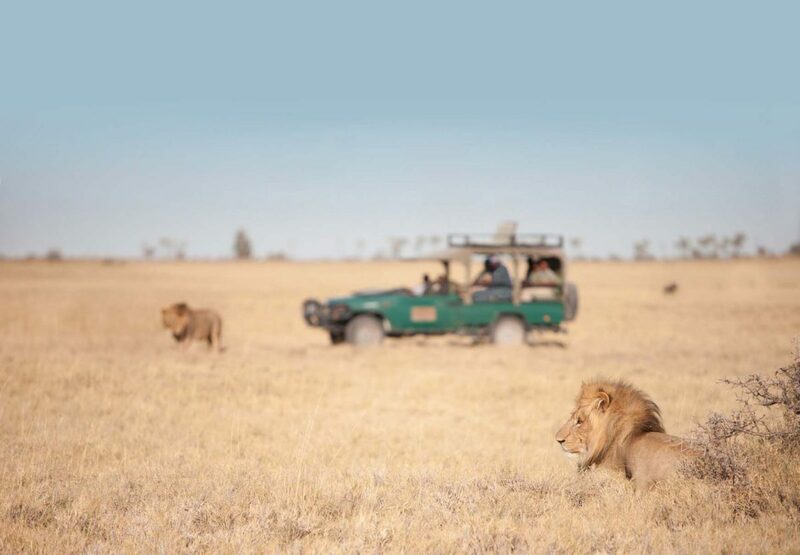 Further, your privacy is pretty much assured as no other safari operators use this area.